WASHINGTON — More than a third of D.C.-area office professionals say work-related issues regularly cause them to lose sleep, and work anxiety takes many forms. A survey by staffing firm Robert Half said the No. 1 reason keeping professionals from getting a good night’s sleep is being overwhelmed with work volume and hours — cited by 50 percent of those in the survey. Not being able to get a business problem out of their heads ranked second. The third most cited reason for losing sleep over work surprised the experts conducting the survey. “Believe it or not, one of the top things that we noticed was drama with co-workers. Work-related relationships can really put a strain on things,” Robert Half’s D.C. metro marketing manager Melissa Sliwinski told WTOP. For supervisors responsible for their department employees, personnel issues are also worries worthy of losing sleep over. “Managing your people is a big strain for a lot of people,” Sliwinski said. Professionals ages 18 to 34 more often lose sleep over work compared to older workers. And men said they lie awake often, while women were slightly less likely to say so. 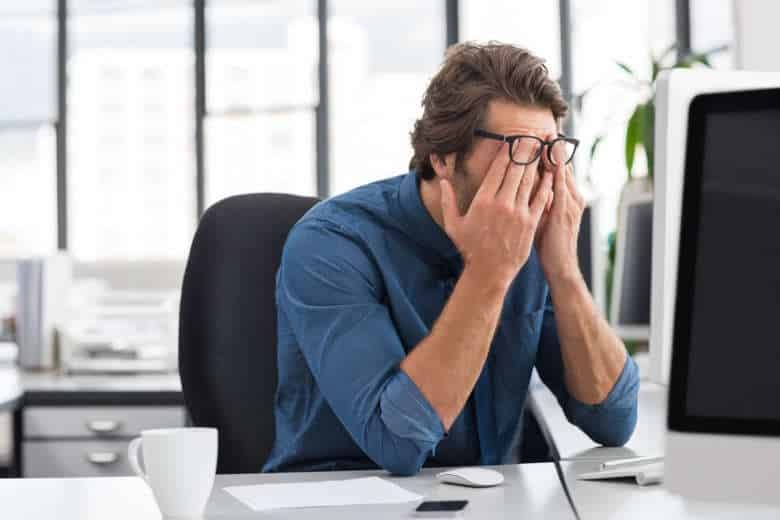 For employees losing sleep over work-related stress, it is a sign that something needs to be addressed, such as meeting with managers to discuss delegating work to others, adjusting deadlines or even bringing in temporary help. Sliwinski said shaking up your routine while you’re at the office can help, too. “Often times you see people eating their lunch at their desk. We recommend getting up, going outside, maybe taking a quick walk,” she said. Robert Half interviewed more than 2,800 office workers for its study on work stress and sleeplessness.